WOW! That was all I could say when I finished this book. I wanted to constantly talk about it and just express my undying love for Esther Greenwood. But, unfortunatly, I am not surrounded by people who love books, nor am I surrounded by people who even like the sound of my voice. But, that's besides the the point. The point is, everyone should read this book. Everyone! I'll admit, I was not expecting what I got. I was expecting something more like Girl, Interrupted. I am happy I didn't get that, though. I got something much, much more. But when I received the book in the post I was disappointed at the synopsis. It seemed a bit boring and cliché but nevertheless, I read it and had absolutely no regrets. It begins with Esther Greenwood on a night out with her friend and they meet two guys. One is very attracted to Esther and one is attracted to her friend but Esther doesn't like him. This is where I sighed, put the book down and didn't touch it until I was forced to stay outside for an hour. I had nothing better to do, so I read this. When I finished the first 100 pages two hours later, I was amazed and couldn't stop reading from there on. I won't talk too much about what happens in this book. Let's just say, I could relate to Esther a lot. She began to get very stressed and depressed. She described it as 'not being able to read or sleep' which was very worrying for her. 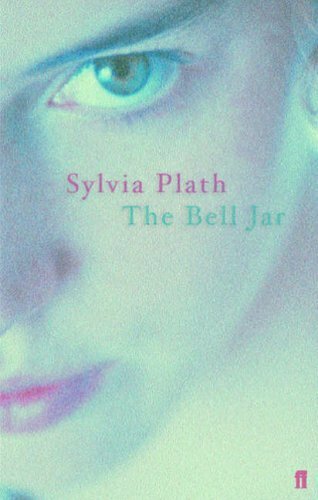 I like how Plath doesn't automatically make her depressed, suicidal and every other mental illness possible as some authors would. She simply allows Esther's actions and thoughts to show she is depressed and is slowly spiraling out of control. Esther, as people suffering depression are, very unaware of why they are feeling this way and they begin to disconnect from the world. This was portrayed very well. I think the word 'depressed' was used only once or twice in this book but the illness is still very present. As I said, it's nothing like Girl, Interrupted so don't be put off by her illness. It's much more than that. It's also about finding her place in society and feeling wanted and worth it. She doesn't have many friends because she doesn't like letting people in, which I can relate to again. It is also not 'the female version' of Catcher in the Rye as many people have compared it to. It has similar aspects to it but it's not that. It's a book all on it's own that deserves no other name put next to it but the title itself. I also loved the concept behind the title. You'll find that out when you read it. It's not a spoiler but I think you should find out for yourself. Just, please. Stop what you're doing right now and go buy and read this book. Now!